Setting up a company in Ireland is a relatively straight forward enough process. 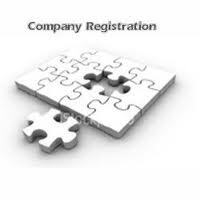 You can set up a company yourself or use the services of a company formation services provider. The advantages of a limited company include the liability of your business being limited to the paid up share capital of the company. However this can be an illusory advantage as most banks will insist on personal guarantees from company directors when you are attempting to raise finance. Most property developers who are in great financial difficulty now are in trouble because of the personal guarantees which they would have given when raising finance, not as a result of the failure of their company. The articles below will go into greater detail as to how to set up a company and will also look at limited company advantages and disadvantages. As well as company formation in Ireland you will see that forming a partnership or trading with a business name as a sole trader are also options. If you don’t wish to do the new company registration yourself you can engage the services of businesses which provide company secretarial services and carry out Irish company formations on a daily basis and who will provide the necessary first shareholders for your company start up. This article looks at how to set up a company in Ireland and the many forms that need to be completed for a new company registration. This article looks at the registration of business names and the law surrounding the use of business names. To register a company is a pretty straight forward process and if you don’t want to do it yourself, then you can use any company that provides company secretarial services and there are many who carry out Irish company formation everyday. The advantages of a limited company boil down to one thing and that is the separate legal identity that a company has which ensures that the liability of the company is limited to it’s paid up share capital. However in practice most company directors or promoters will be asked to provide personal guarantees for the borrowings of the company which negatives that large advantage to great extent. The disadvantages of a limited company are the cost of setting up and maintaining it and the ongoing statutory obligations to file accounts and other administrative obligations.